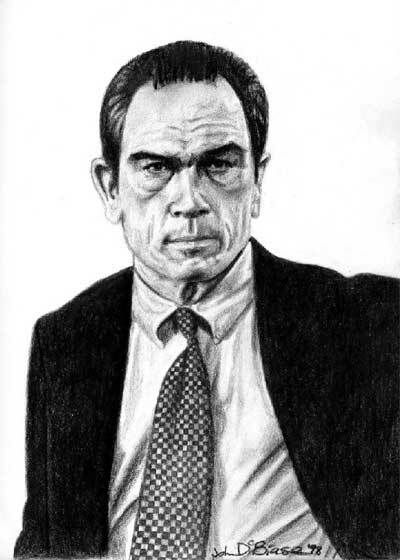 This picture of Tommy Lee Jones originated in my “infamous” sketch book which became home to all of my high school portrait drawings. This one was made using only pencil, however, I used different shades, of course. But since Tommy Lee Jones has been one of my favorite actors for years, I just had to do a portrait of him. The source photo was found on the official website for 1998’s U.S. Marshals, for which he had the lead role.